Coconut Shell Granulated Activated Carbon Media GAC 1 cu.ft. 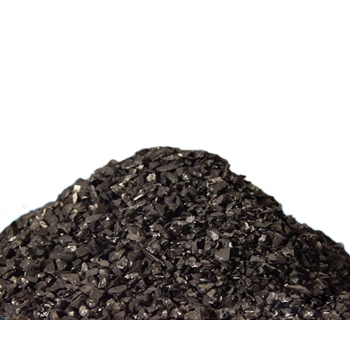 Coconut Shell Granulated Activated Carbon ( GAC ) is a premium carbon filter media for residential or commercial drinking water treatment applications. 1 cu.ft. of Coconut Shell carbon performs better than standard carbon "charcoal" filtering media in removing chlorine and Volatile Organic Compounds ( VOCs ). Coconut Shell carbon is an excellent filtration media, having high density with a balanced pore structure for efficient absorption. 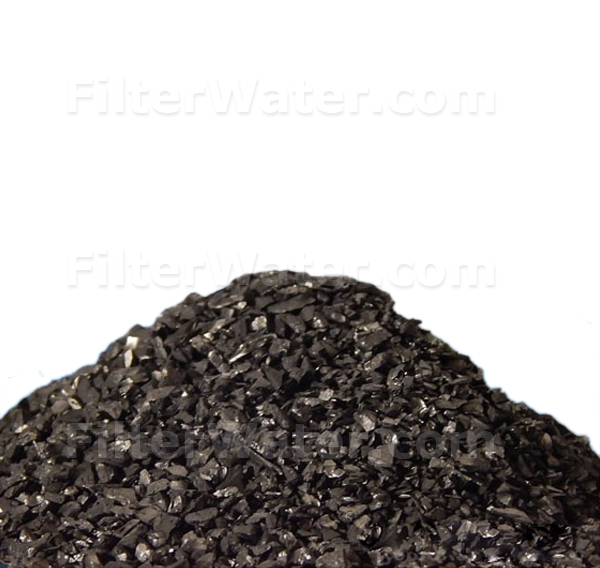 Most common application for an activated carbon is to remove unpleasant taste such as taste of chlorine from drinking water. Coconut Shell carbon media can stand up to backwashing. Media comes in different mesh sizes. Smaller mesh size particles can wash out easier at a higher flows. Commercial applications may require larger mesh size particles. Chlorine, Taste and Odor carbon is 12x40 mesh, Crystal Quest residential/commercial carbon is 20x40 mesh.